There are many options available when it comes to dentists, and there are many ways to find them. But just calling a random dentist can be like throwing a dart at a phone book and hoping for a decent result. Instead of putting yourself through the torment of trying a bunch of dentists to find which is the best, why not start with us? Dr. Landon Blatter is a quality dentist in Centennial. He has the honor of being 5280 Magazine’s Top Dentist in Colorado for the past three years. He is a graduate of the prestigious Harvard School of Medicine and is a current member of the American Academy of Cosmetic Dentistry, American Academy of Craniofacial Pain, The Dawson Academy, American Dental Association, Colorado Dental Association, and the Metropolitan Denver Dental Society. But what makes him the a quality dentist in Centennial is not just his academic achievements. His love for his patients is evident in everything that he does. He strives to put his patients at ease as he provides quality possible dental care. You are his primary concern and he will go above and beyond to make sure that all of your needs are met. 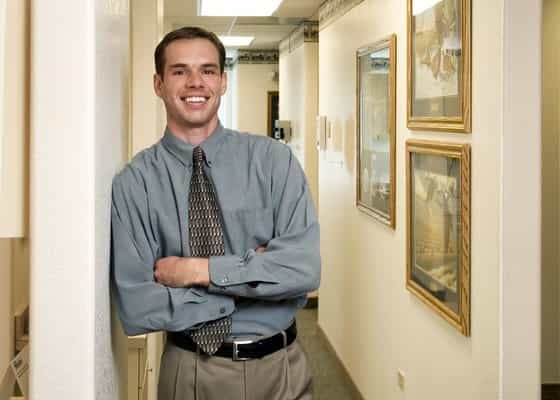 Call today and schedule your first appointment with Dr. Landon Blatter, a quality dentist in Centennial, Colorado!